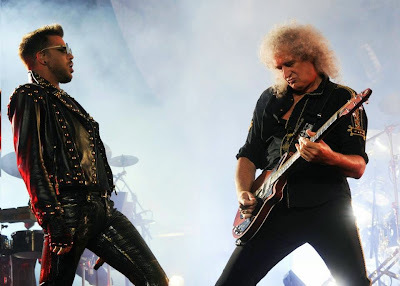 In June, Queen + Adam Lambert launched their North American tour at the United Center in Chicago, and fan-filmed video from opening night surfaced. The 23-song set opened with “Now I’m Here” from 1974’s “Sheer Heart Attack” album, and wound its way through the band’s extensive catalogue of classics. Check out the No. 9 hennemusic story of 2014 on QUEEN AND ADAM LAMBERT here.